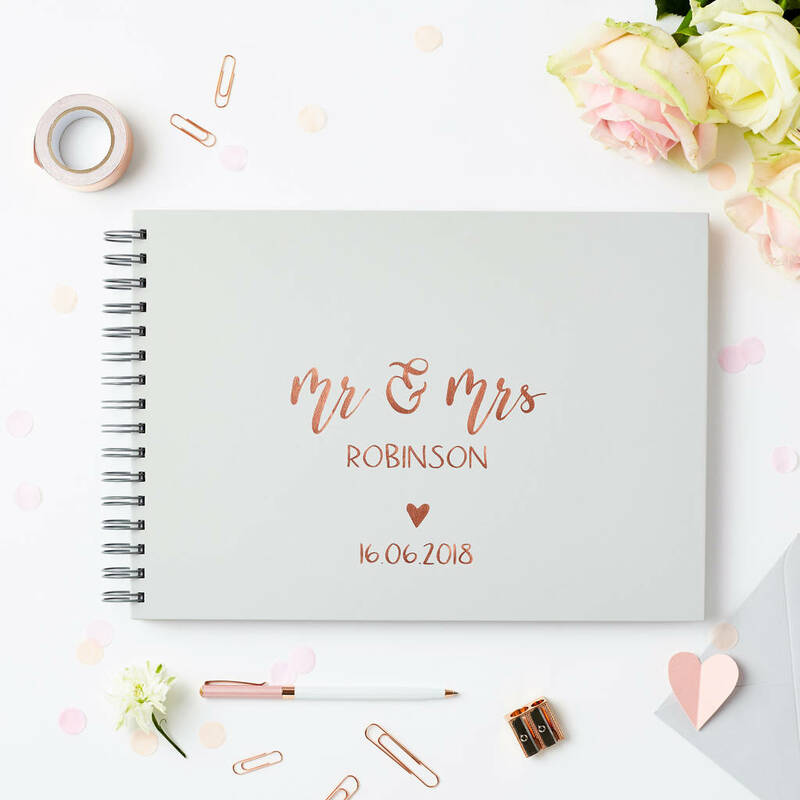 A luxury gold, silver or rose gold foil-printed hardcover luxury wedding guest or memory book with a stunning script design. 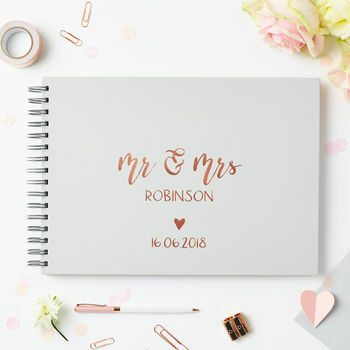 This beautiful guest or memory book comes in a range of pastel colours. 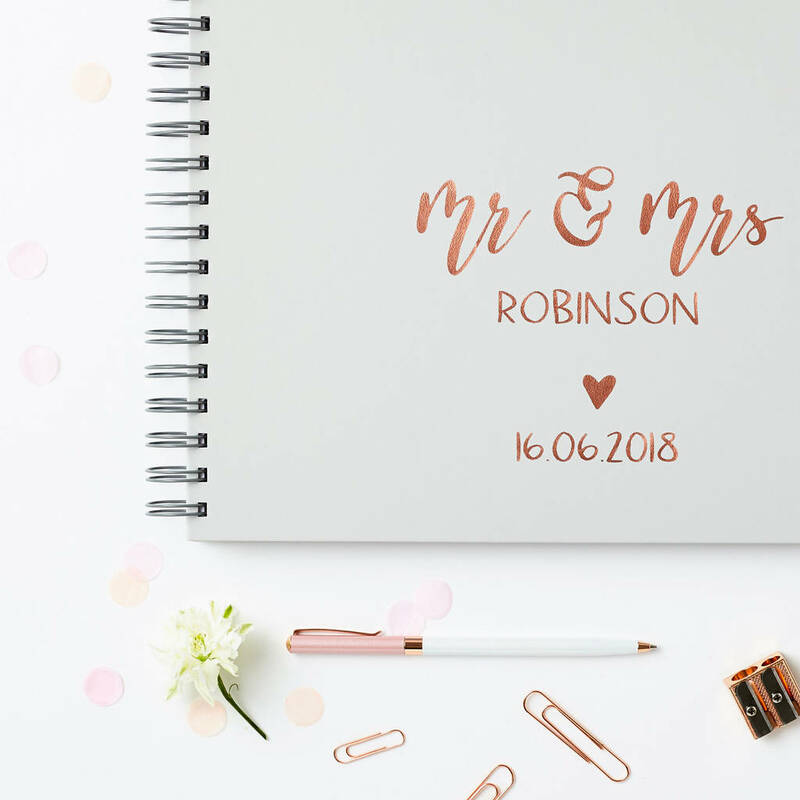 It is personalised with the surname of the Mr & Mrs and the date of their wedding in shimmering foil. 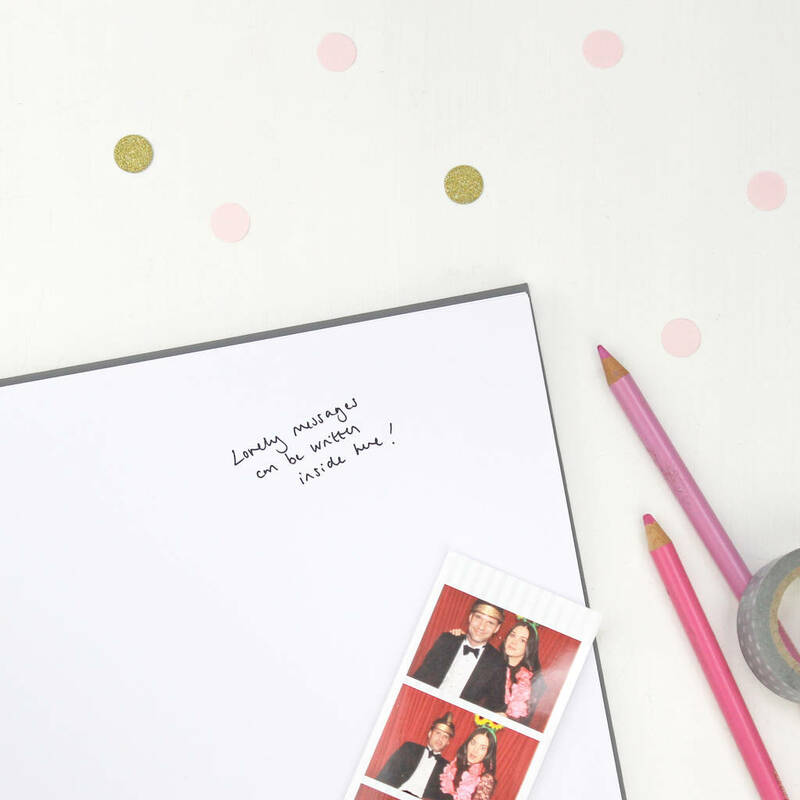 Inside, the book is filled with super thick white pages, which are perfect for writing messages or sticking in photos or other mementoes. It has extra thick hardback covers that feel luxurious to touch and is wiro-bound so it can be easily flipped open and laid flat to write in. 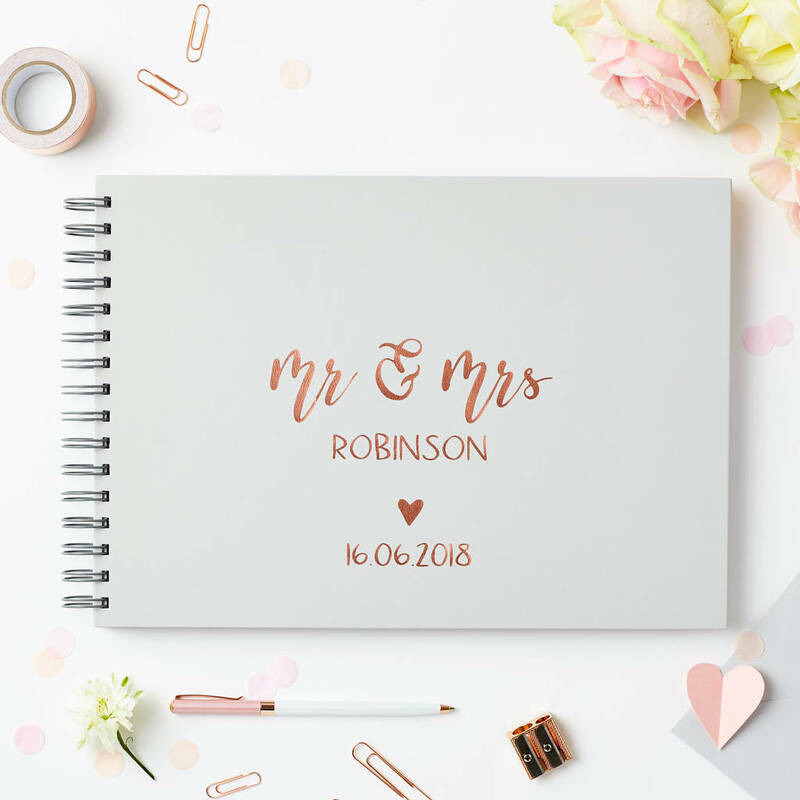 An optional personalised inside cover page can be added, which is made from a thick soft blue paper. 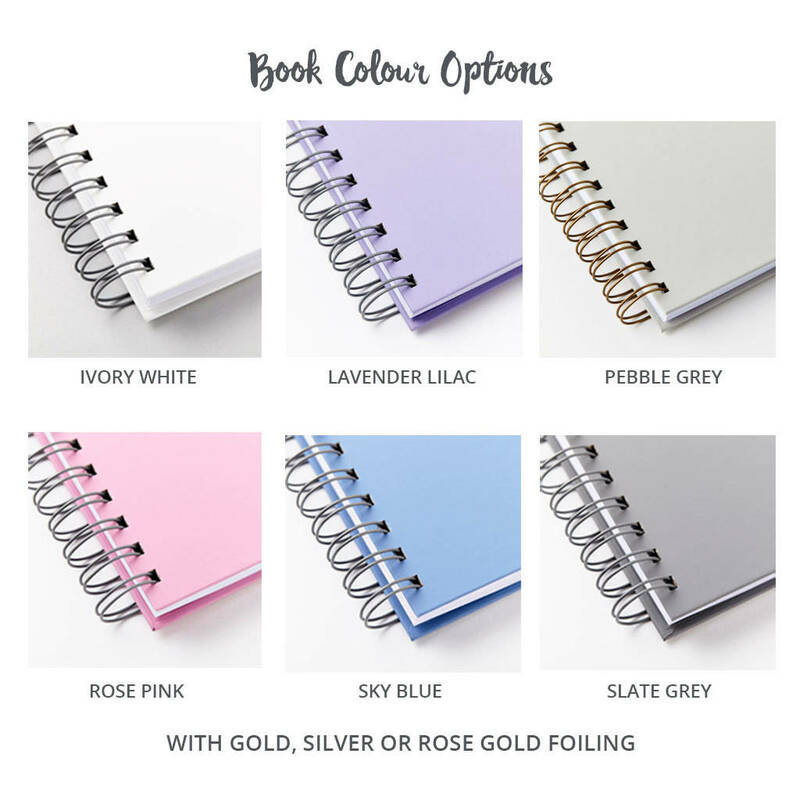 The book is available in six beautiful pastel colours (Ivory White, Lavender Lilac, Pebble Grey, Rose Pink, Sky Blue, and Slate Grey) with gold, silver or rose gold foiling. 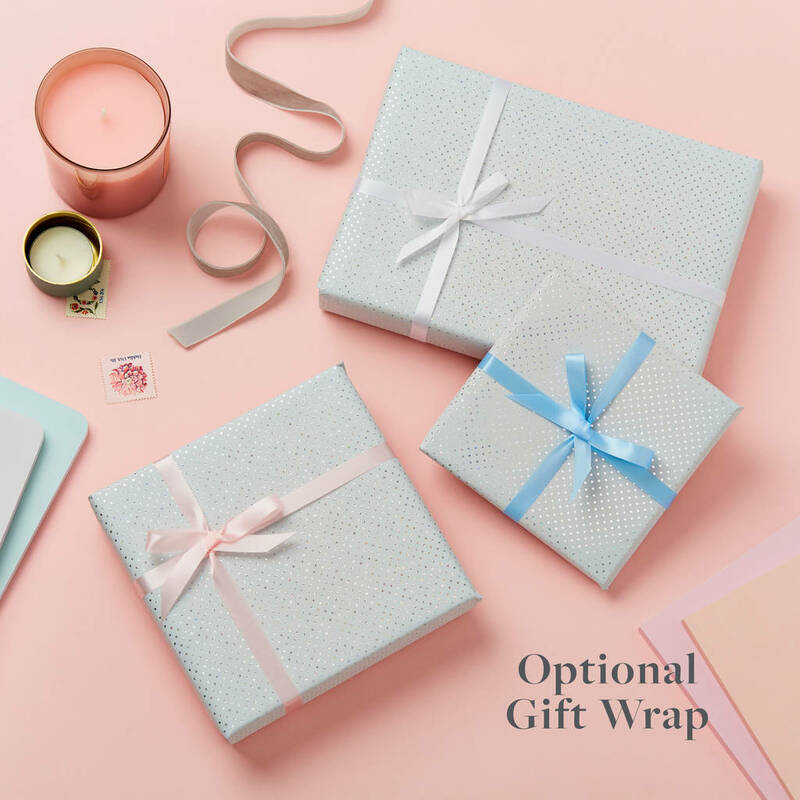 An optional gift box can be added (which is lovely to keep the book in) and optional luxury metallic embossed gift wrap. Lovingly made by hand in our West London studio. The luxury hardback covers are coated in a specialist book cover material that feels soft to the touch and printed with real foil. 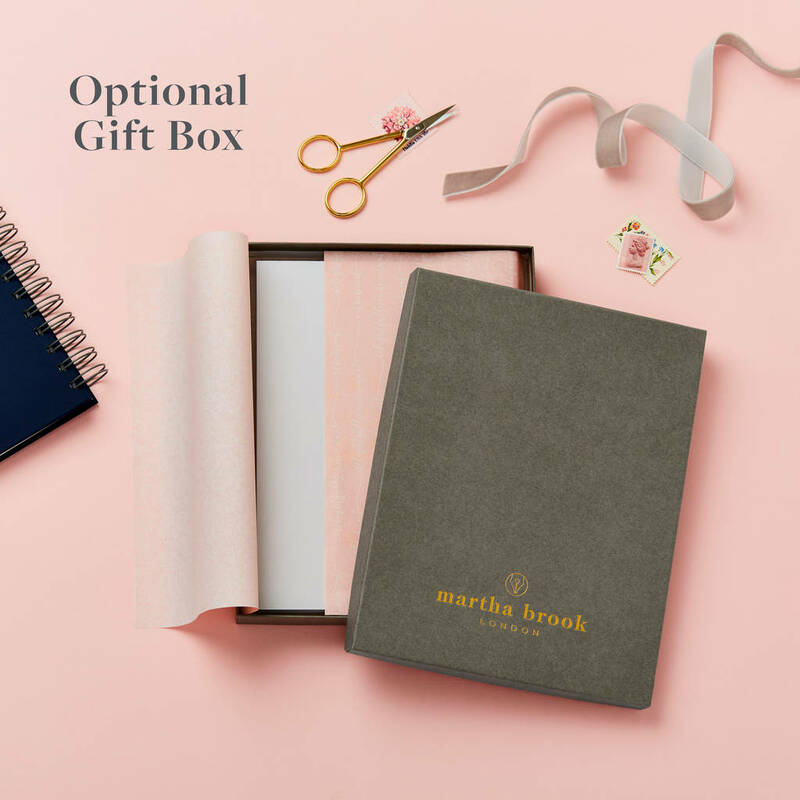 Unlike leather, the covers of the book will wipe clean with a soft or damp cloth. 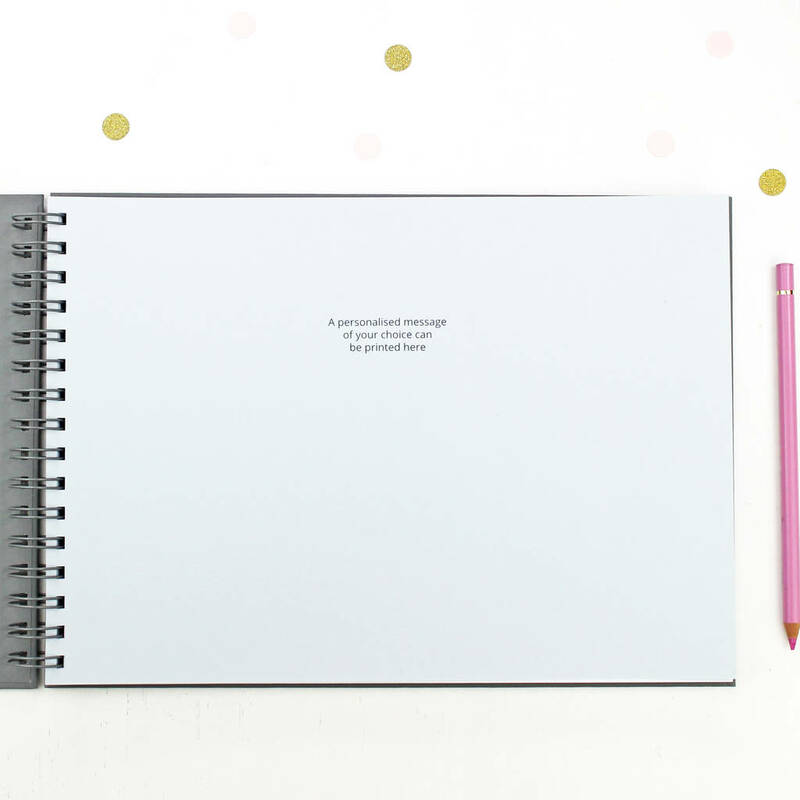 The book is filled with 100 pages (50 sheets) of super thick (175gsm) blank white paper with the option to add a personalised inner soft blue page. The book measures 21.3cm x 30.3cm with A4 sized pages inside.